Official Description: These three brothers, all sons of the same mother, could not be more different from each other. Dori, the oldest, spends much of his time watching out for Ori, the youngest; making sure he’s not caught a chill or got himself killed by Wargs or Goblins. Nobody quite knows what Nori gets up to most of the time, except that it’s guaranteed to be dodgy and quite probably, illegal. Dori, Nori and Ori are intensely loyal to each other – and whilst they are perfectly happy fighting amongst themselves, woe-betide anyone who means harm to one of these brothers. 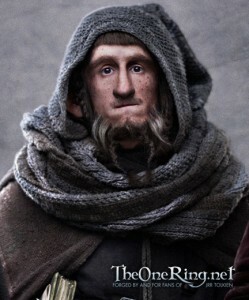 TheOneRing.net Description: One of the thirteen Dwarves who accompanied Bilbo in The Hobbit. Ori is probably a brother of the similarly-named Nori and Dori — all three also play the flute. Ori does not feature prominently in The Hobbit. 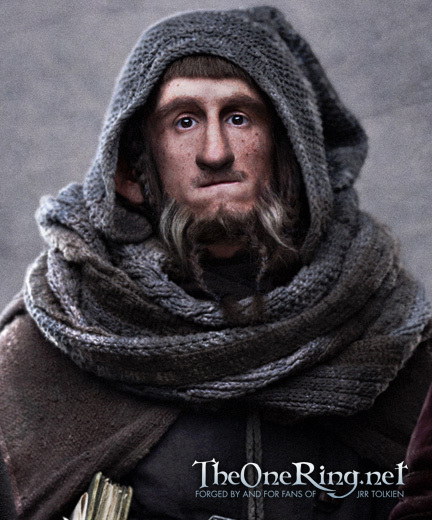 As told in The Lord of the Rings, Ori left the Lonely Mountain with Balin’s party to try to reclaim Moria in 2989. He evidently became the party’s historian and wrote some of what the Fellowship of the Ring read in the book they found in the Chamber of Mazarbul. The chilling final words hastily scrawled in the record-book are likely his: “They are coming”. If so, he was killed by goblins in the Chamber of Mazarbul in 2994. Analysis: Ori’s birth date is not known. However, given the age difference of at least 50 years between Fili and Kili and the rest of the party, his birth year is likely before about 2809. Since Gimli observes that Ori could write well, speedily and often used Elvish characters, he probably was a well-educated dwarf. Also, the determination he expresses in the book found in the Chamber of Mazarbul in LOTR suggests he may have been a valiant fighter. “If there is no escape, it will be a horrible fate to suffer -– but I shall hold.” (this quote is not in the text but is visible in Tolkien’s painting of a page from the Book that can be found in several publications including the 50th Anniversary edition of LOTR (2004), Pictures by J.R.R. Tolkien (1979), and the 2005 Tolkien calendar).